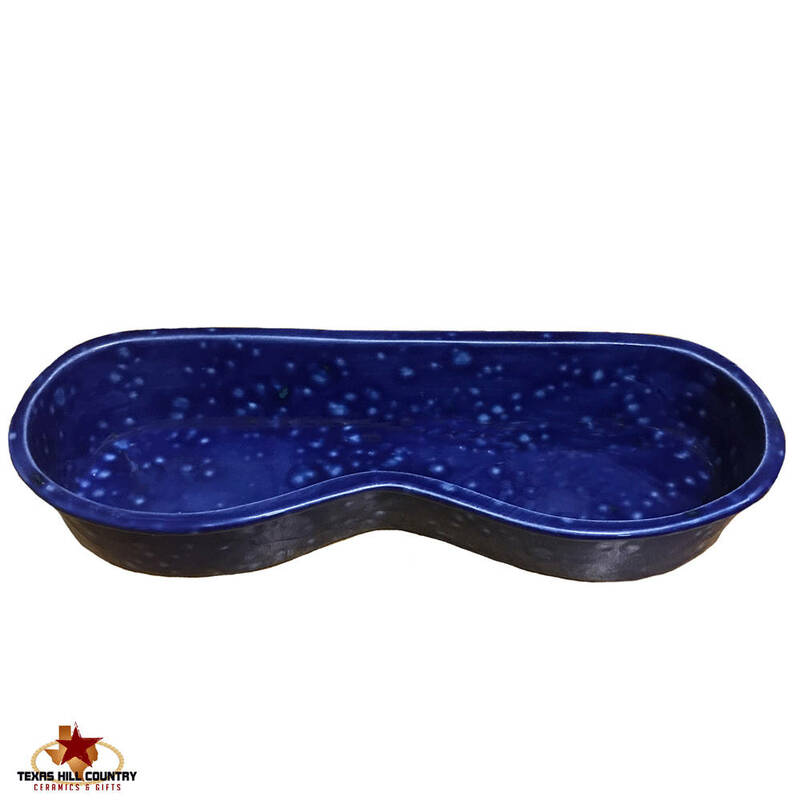 This contemporary style ceramic eye glasses holder or tray is finished in blue lagoon glaze. This eyeglass tray, with its contemporary styling, safely holds glasses on your desk, table next to a favorite chair, night stand or bath vanity. This ceramic eye glass holder is finished in a lead free glaze called blue lagoon, it has a deep blue background with splashes of white and green specks. This handy eyeglass tray is not only sleek and contemporary in styling but also a great way to keep glasses handy. 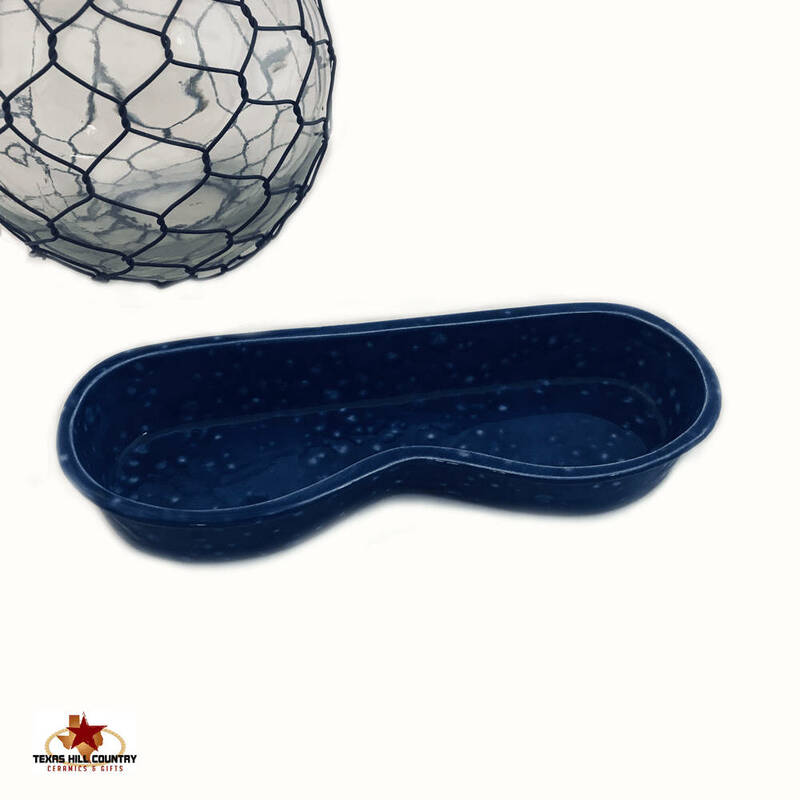 This eyeglass tray is made of kiln fired ceramic clay and finished in lead free glaze. Each eye glass holder is glazed in lead free glaze. 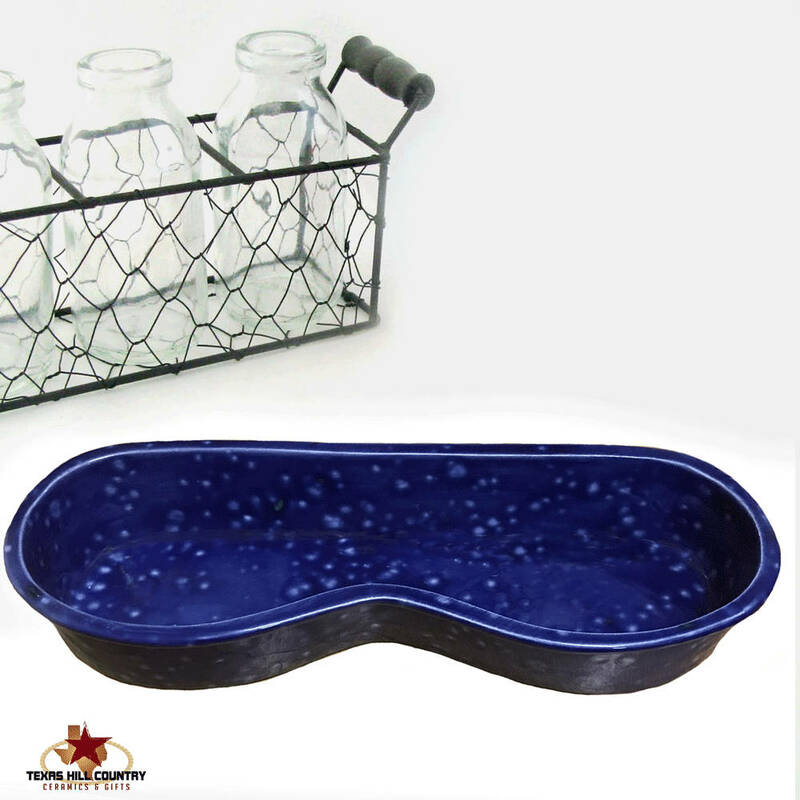 Ceramic eyeglass trays are designed to keep eye glasses handy and safe. Eyeglass trays are both decorative and useful. Stylish in looks keep a tray at the office, craft or workshop area or wherever you may need to keep a pair of eyeglasses. All eyeglass trays are made in the USA by Texas Ceramics. Also, ceramics eyeglass or eye ware storage holders are a thoughtful and personal gift for Mom, Dad, a sibling, grandparents or for a special friend in your life. Finally, a special place for those eye glasses you are always wondering where you set them down!